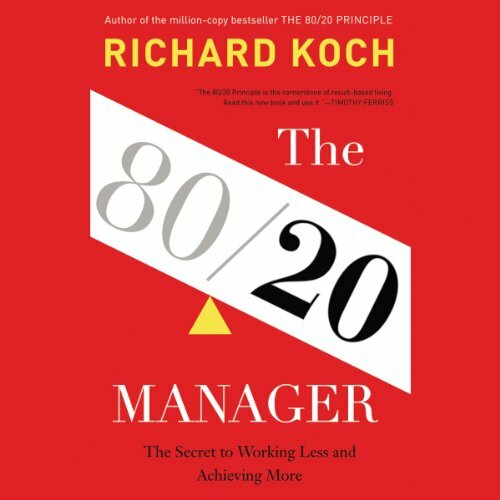 Best-selling author Richard Koch shows managers how to apply the 80/20 Principle to achieve exceptional results at work - without stress or long hours. In his best-selling audiobook The 80/20 Principle, Richard Koch showed listeners how to put the 80/20 Principle - the idea that 80 percent of results come from just 20 percent of effort - into practice in their personal lives. Now in The 80/20 Manager, he demonstrates how to apply the principle to management. An 80/20 manager learns to focus only on the issues that really matter, achieving exceptional results, and feeling successful everyday while working less hard in fewer hours. A large number of managers - especially in these difficult times - feel completely overwhelmed. Their inboxes are overflowing and they constantly struggle to finish their to-do lists, leaving little time for the things that really matter. The 80/20 Manager shows a new way to look at management - and at life - to enjoy work and build a successful and fulfilling career.